Klout has just released Version 2 of its API to address the service’s recent, massive growth in traffic. According to the announcement, the company now serves a jaw-dropping 30 billion API calls per month for over 6,000 partners. To put this into perspective, only three months ago Klout’s API calls were at 10.5 billion. As you can see in the chart below, the cause for a re-tuned API is quite clear, as Klout’s data-serving traffic has nearly tripled since the end of January. Instead of being Twitter-focused, it’s now “Klout-focused;” we offer a service that translates identifiers from Twitter to Klout IDs to facilitate speed and to incorporate influence from other networks in the future. The new API is faster, asynchronous and has a new caching system. Because it’s based on our internal architecture, we’ll soon release new features to the API. More on this below. Most significantly, the new API has upgraded to an oAuth2-based authentication system, allowing Klout users to give +K to influencers across the Web…off of Klout.com. 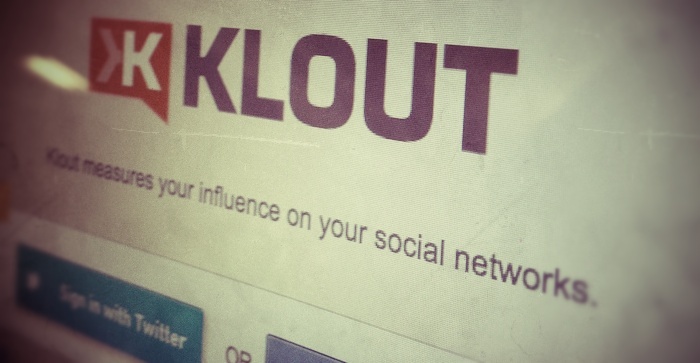 Users of Klout are likely familiar with the +K, but so far it really hasn’t meant much to influencers. Now, if the K spreads with the API, it may soon actually matter. If you’re ready to jump in and get started, head over to Klout’s developer site, sign up for a key and explore the Interactive Documentation. Note: If you aren’t sure what that actually means, you probably aren’t a developer. If you’re a user of the previous API release, you’ll have to upgrade from V1 before it’s shut down on December 31st, 2012. For more, check out the official blog post detailing the release.